The Soyuz MS-05 spacecraft carrying three Expedition 53 crew members backs away from the International Space Station after undocking from the Rassvet module. 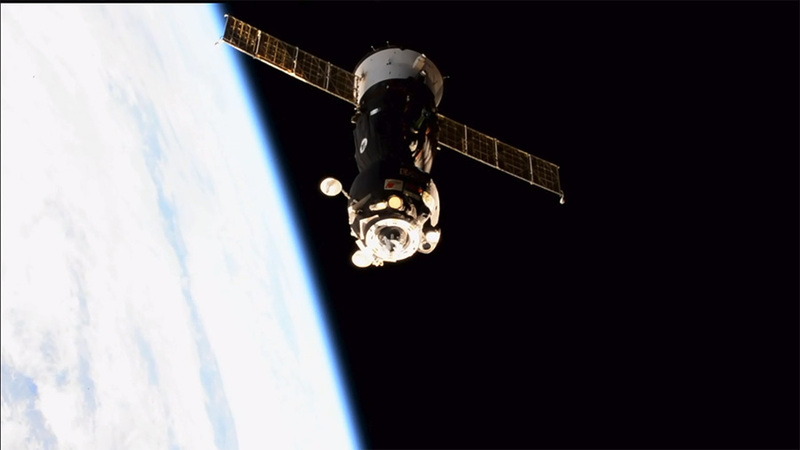 Expedition 53 Commander Randy Bresnik of NASA and Flight Engineers Paolo Nespoli of ESA (European Space Agency) and Sergey Ryazanskiy of Roscosmos undocked from the International Space Station at 12:14 a.m. EST to begin their trip home. Deorbit burn is scheduled for approximately 2:45, with landing in Kazakhstan targeted for 3:37 (2:37 p.m. Kazakhstan time). NASA TV coverage will resume at 2:15 for deorbit burn and landing coverage. At the time of undocking, Expedition 54 began aboard the space station under the command of Roscosmos’ Alexander Misurkin. Along with his crewmates Mark Vande Hei and Joe Acaba of NASA, the three-person crew will operate the station until the arrival of three new crew members Tuesday, Dec. 19. Sunday, Dec. 17, Scott Tingle of NASA, Anton Shkaplerov of Roscosmos and Norishige Kanai of the Japan Aerospace Exploration Agency will launch to the space station from the Baikonur Cosmodrome in Kazakhstan. I am always thinking, what I should do to became an astronaut.